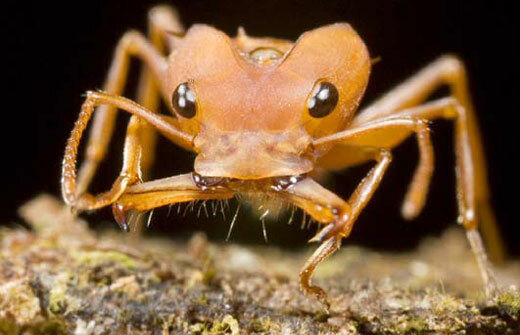 The Daceton Armigerum is an ant with a really strong jaw that has been around as long scientists have been studying ants. It is known for its ferocious attacks on other insects and it is known by those in Peru as an ant to stay away from at all costs. Even if you have never had an opportunity to see this ant personally, pictures will give you the indication that this is not a species to mess around with! These are visual predators, so they see things that they want and they go after them in a hurry! Daceton Armigerum is found in many parts of the world including the northern part of South America, Suriname, Trinidad and Tabago, French Guinea, Guiana, Venezuela, Brazil, Ecuador, and Peru. The species is fond of making their nests in hollow tree trunks or in fallen branches that can be hollowed out by the ants. Daceton Armigerum feeds on just about anything that it can come in contact with. Many times they will feed on leaves and other available foliage, but when they find other insects or dead animals they will easily feed on these things, too. The ant adapts well in just about any environment and is able to live in all of these different areas because it is willing to feed on just about anything including fungus, algae, and more. 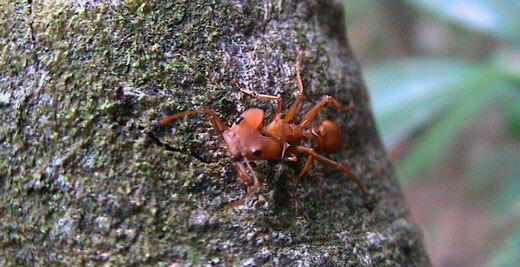 As is the case with most ants, Daceton Armigerum are a species that move about mostly by walking. 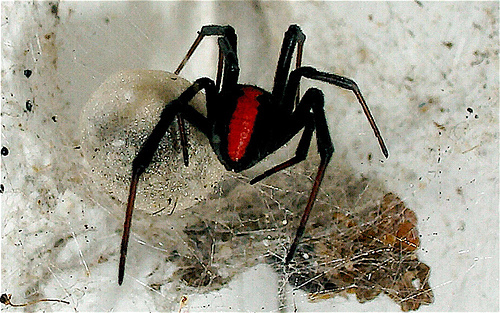 While the females usually have wings, they remove them after they have mated so that they can begin their colonies. Worker ants generally do not grow wings, which means that all of the movement must be done by walking, though the species is known to cover great distances in relatively small amounts of time. What do Scientests want to find out about the Daceton Armigerum?